Ready for some fresh, fun images? Brandi is probably our biggest fan and self-proclaimed blog stalker. (Hey, we blog because we want you to keep up with what’s going on, so don’t fell like you’re blog-stalking!!) And Devin was willing and compliant enough for us to drag him around and use some new locations I’ve been wanting to try out. I’m not sure I’ve ever had 20 real favorites from a portrait session before, but I did with this one. =) Just can’t narrow them down any more, so you’re getting them all! I am in love with this rusty old garage I recently found. Do you like it? Makes for a really cool background, I think! The sun was a little intense, but I kinda like how it affected this next image. I think this next shot is my favorite… Love the perspective, shooting through the leaves! Brandi and Devin, I had a great time with you guys! Thanks for being rockstars and helping me make some awesome images for you! 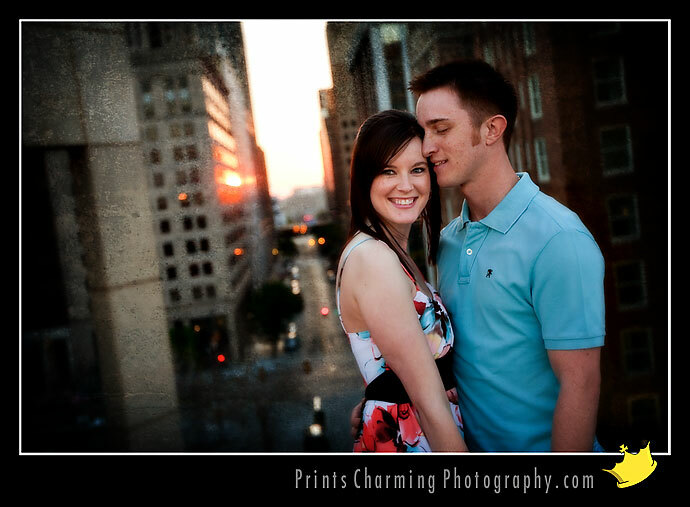 Can’t wait to shoot your wedding in about 7 weeks!